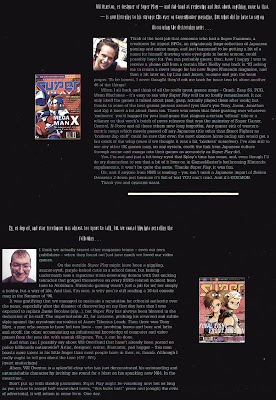 2011: The Year of Retro Gaming Project: SUPER PLAY CORNER + A BIT MORE FAME! It's over, but it's still going! Very exciting! Now watch those thousands of hits build up! 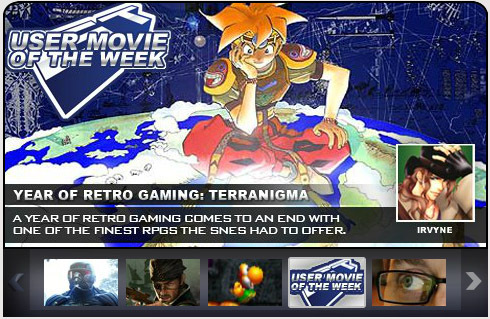 I doubt Terranigma has the mainstream appeal to reach the 9,000+ hits that the Super Metroid episode got, but it's already over 5,000 which is just really exciting to me. 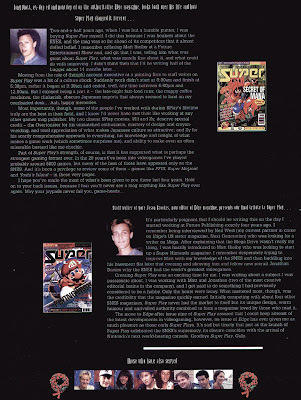 By the time 1996 came around, the 16-bit era was effectively dead (with a few outstanding exceptions) and you could tell that the poor creators of a Super Nintendo magazine had their work cut out for them trying to fill the entire mag with content. Of course, a lot of it was made up by news and rumours of the upcoming 64-bit machine, but yeah, by this stage the poor Super Nintendo was living on borrowed time. Again, some of these picture files will be large. 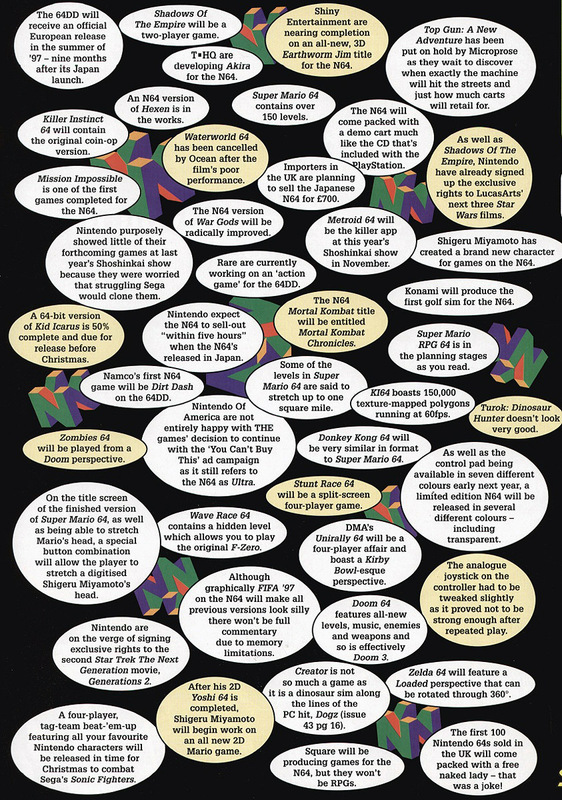 So chances are, you might need to save them to your computer and enlarge them, so that you can read all of the text. Right. On with the show. 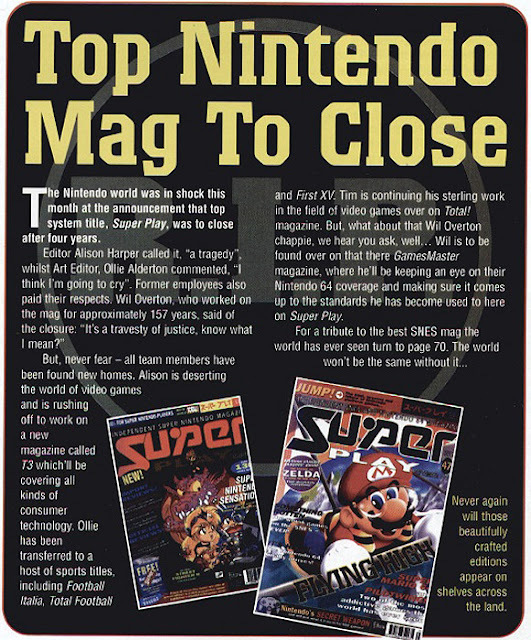 Let's see some of the highlights of the final four issues. I find this kinda funny. 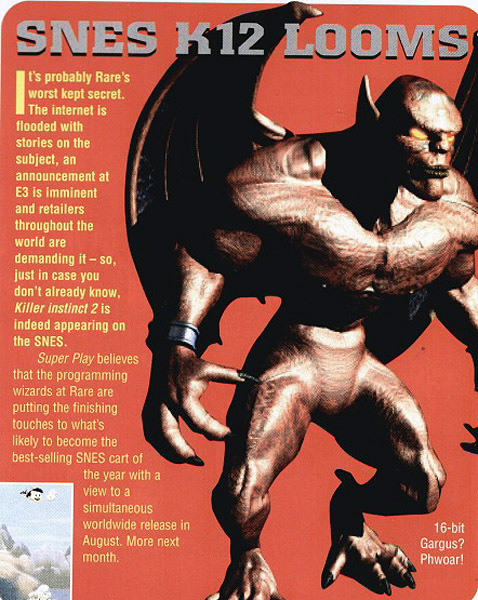 "Rare's Worst Kept Secret," which turned out to be completely false! LOL. Awwww, why would you tease everybody like that...? 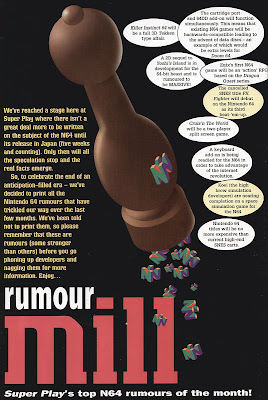 I remembed at the time, this was almost unthinkable news! SURELY it was an April Fools joke or something! How could a MARIO game not get localised?? 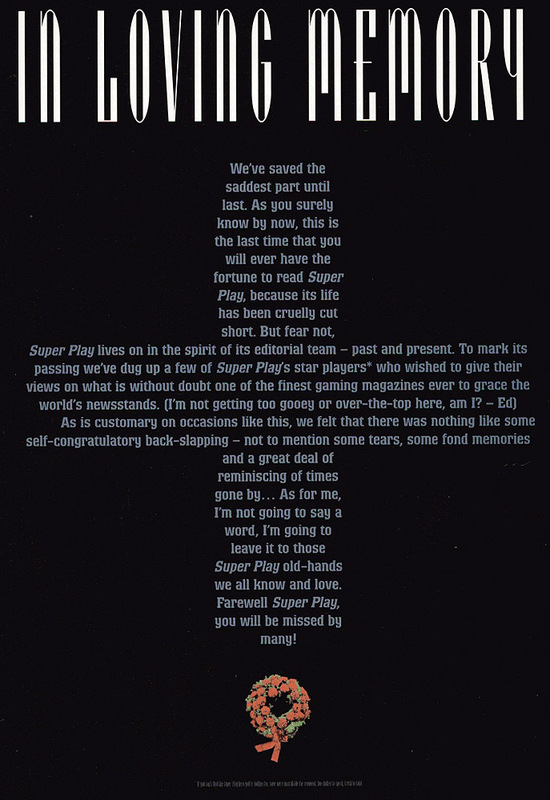 Unfortunately, it was completely true, and I think SuperPlay's assumptions in the last paragraph were likely right-on-the-money. 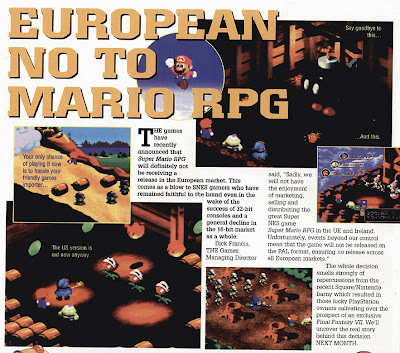 The Super Mario RPG sequel would, of course, turn into Paper Mario, released a good 5 years later, and being a game that - in my mind, anyway - surpasses the first in almost every way. This is funny. 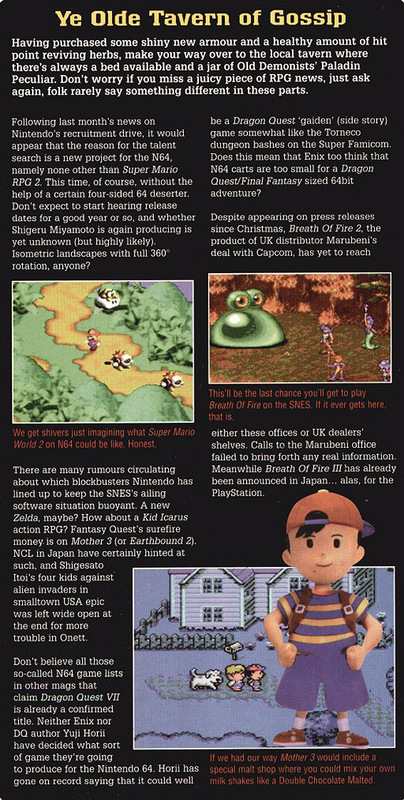 While some of the rumours are WAY off the mark (Kid Icarus 64? LOL!) some of them are surprisingly accurate! 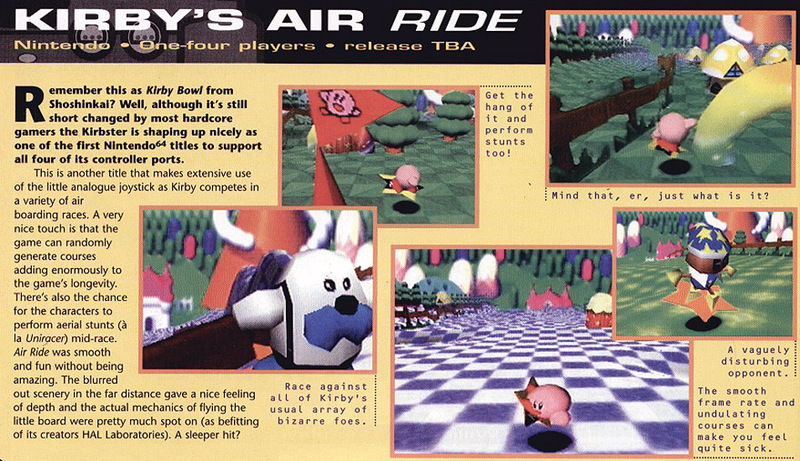 Kirby's Air Ride - originally planned as a launch game for the Nintendo64, arrived SEVEN YEARS LATER on the GameCube... and it was crap. Sad news indeed. 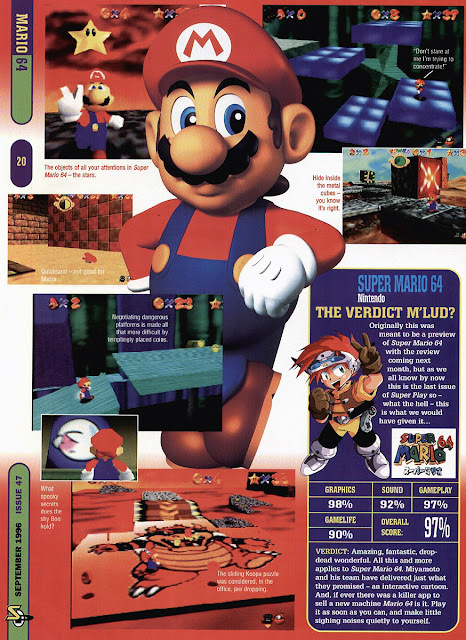 But all good things must come to an end, and the time of the 16-bit machines was more-or-less over. They had taken the ships at the Grey Havens and sailed to the undying lands with all that was left of their kin. I can't tell you how many times I saw this page back in 1996. 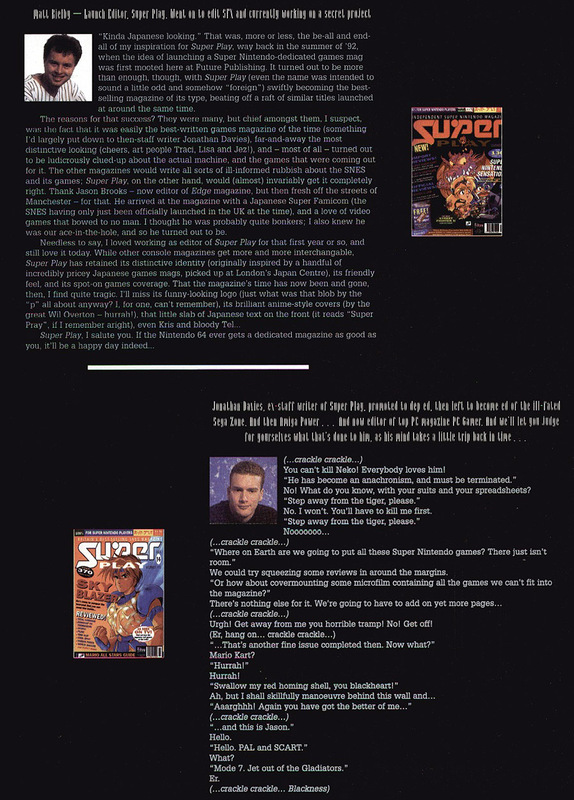 I would read this review over and over again, just dreaming of the possibility of actually owning this game. 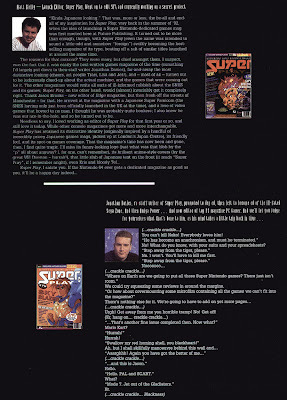 It was good that SuperPlay got to review it in their final issue. 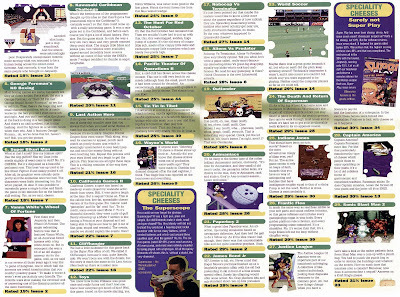 The worst games on the Super Nintendo. Did you get stung by any of them...? 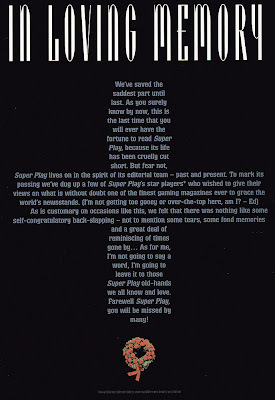 And here we have the final sign-off from the Super Play crew. 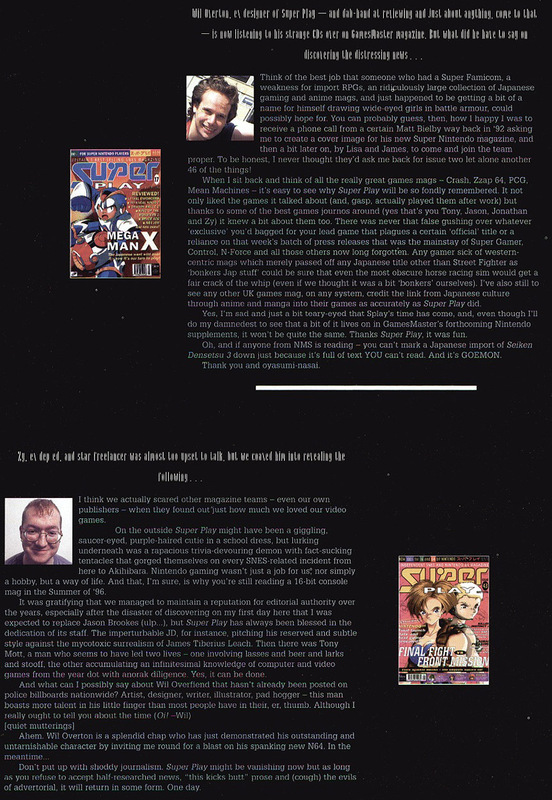 If any of the people who worked on the magazine happen to read this blog (very unlikely, I know, but possible) thank you for your wonderful magazine. 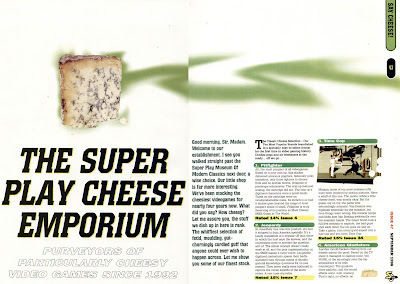 It was truly the best. 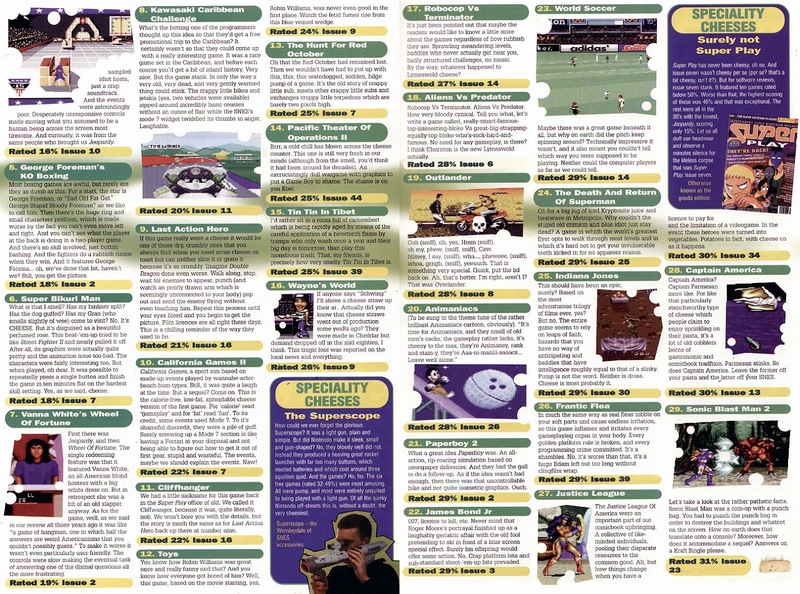 I just realised that I had forgotten to mention the final standings of the 171 games that played this year. SIXTEEN games fell. They just aren't really fun to play in 2012. FIFTY-SIX games sat. 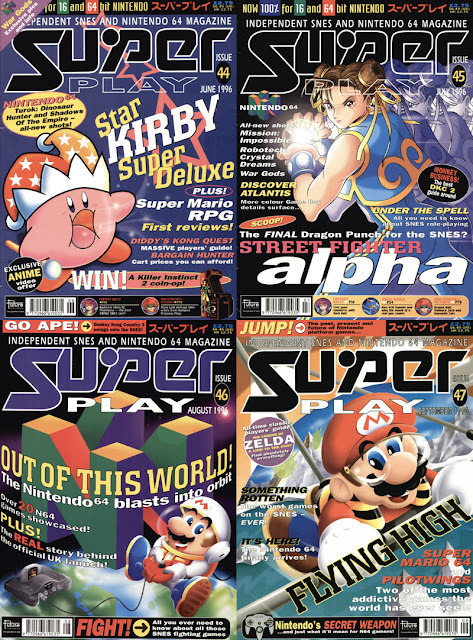 They're still okay, but fond nostalgia would definitely help you enjoy them. 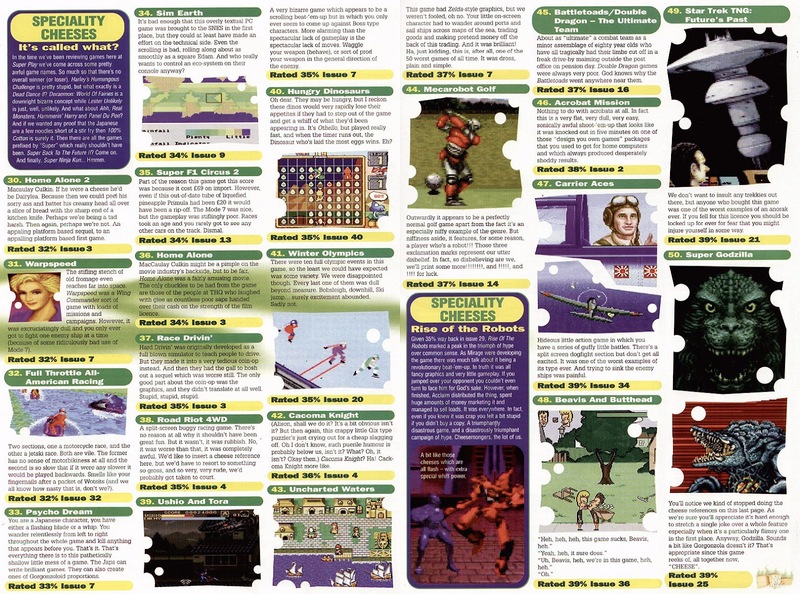 NINETY-NINE games stood the test of time. 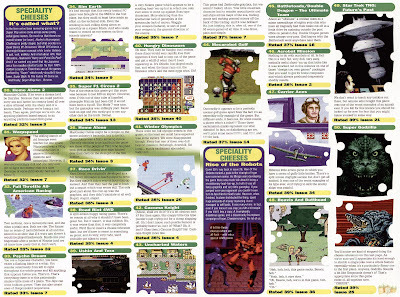 That's a pretty darn good majority of the retro games I played this year are - in my opinion anyway - still really enjoyable to this day. Go play 'em. NOW! This will probably be the last update. For a while, anyway. Thanks once again for visiting. Peace out! Hey man, saw your last entry on GT last night and proceeded to watch ALL OF YOUR VIDS. Very high quality work and you covered so much! So few games did I not play, let alone beat. Such a great stroll down memory lane. Thanks for all the hard work and enjoy your rest. Your page is sick! Love it.